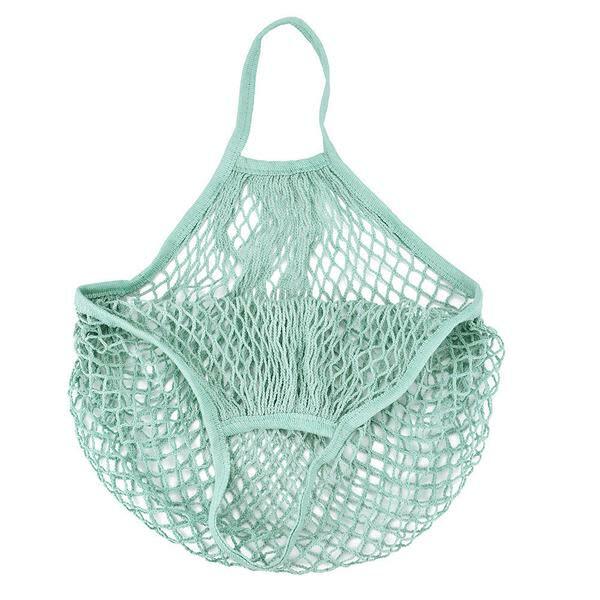 String shopping bag in mint green. Looks great filled with fruit! Short handled. Made from cotton blend. Hangs approximately 40cm.